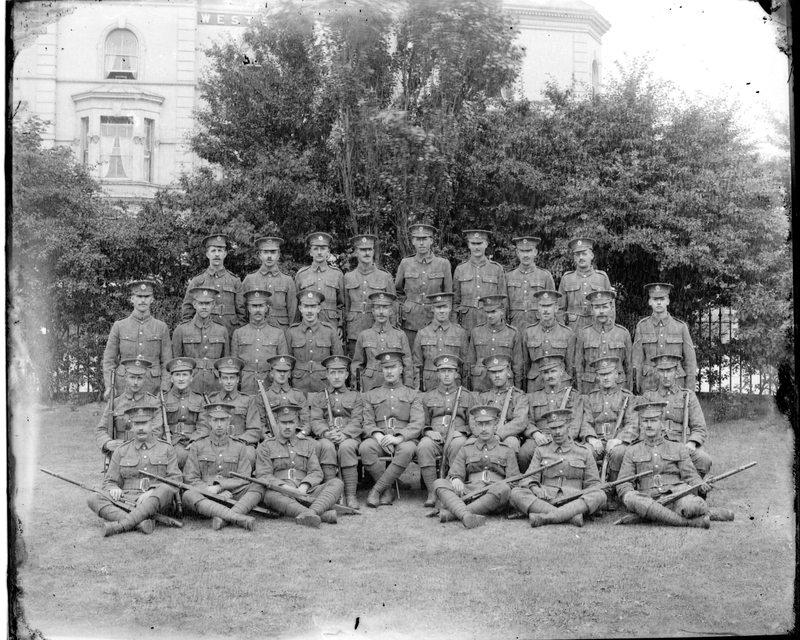 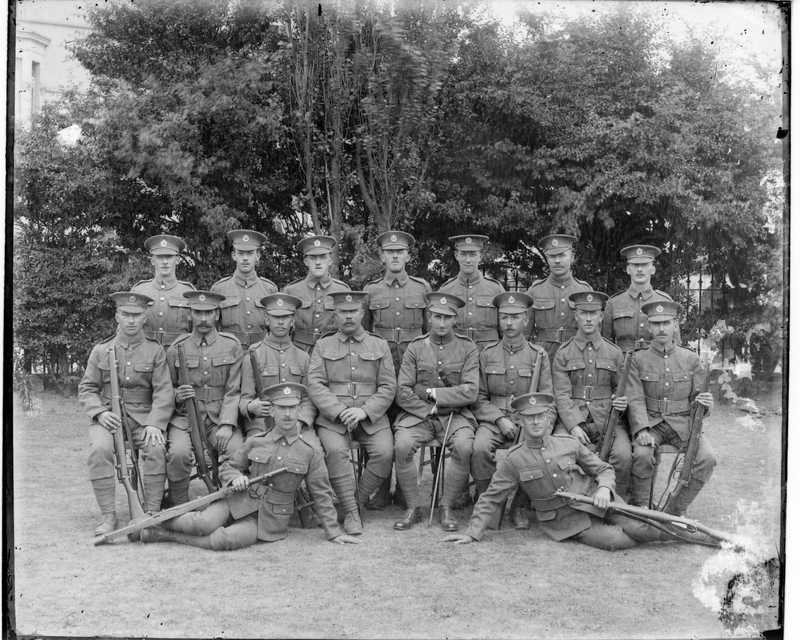 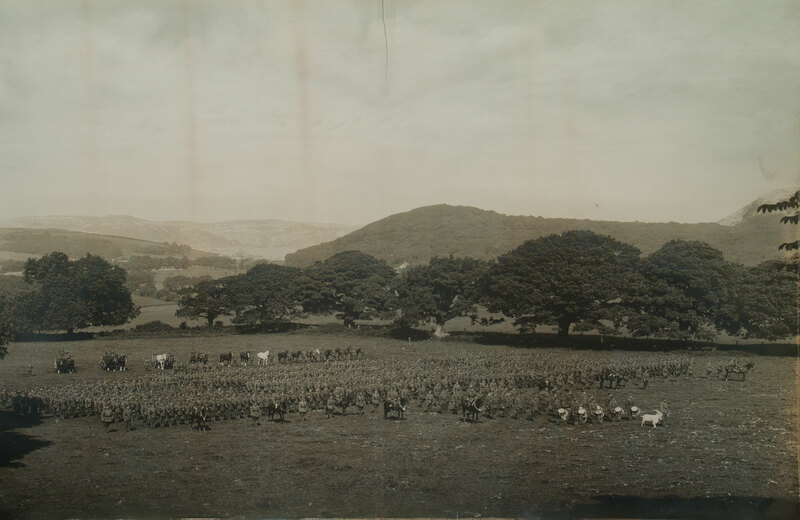 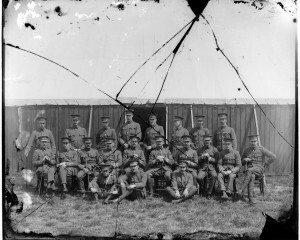 To mark Britain’s entry into the First World War on 4th August 1914, we have gathered together some photographs from our own records and from those of the Regimental Museum of the Royal Welch Fusiliers. 17th Battalion, Royal Welch Fusiliers, Colonel Llewelyn Mostyn Commanding, on manoeuvres at Bodysgallen, near Llandudno, August 1915. 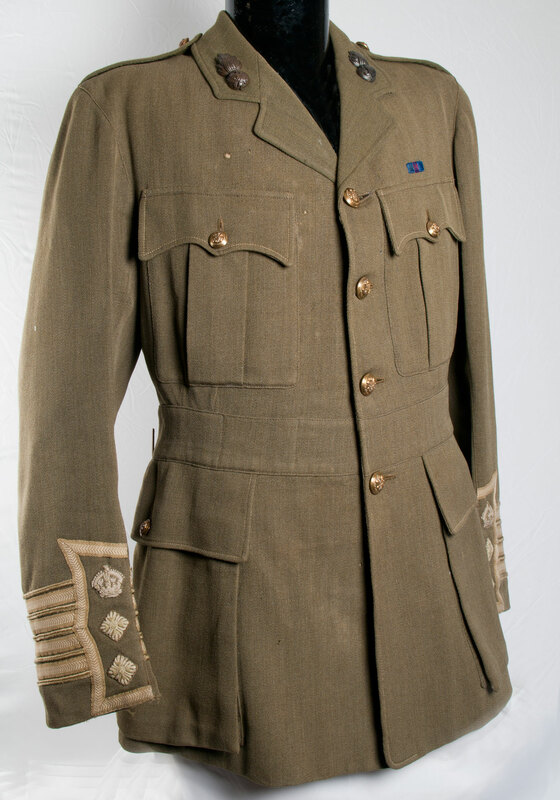 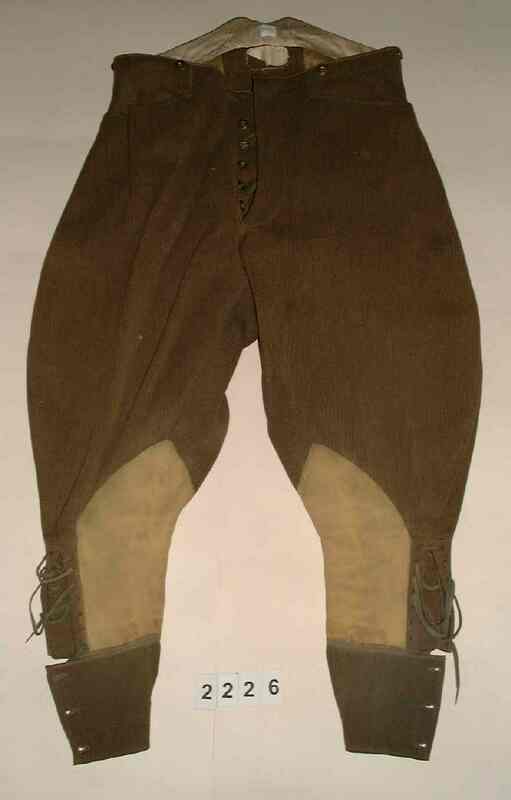 A contemporary uniform, donated to the Regimental Museum of the Royal Welch Fusiliers by the executors of Ieuan Lloyd Mostyn. 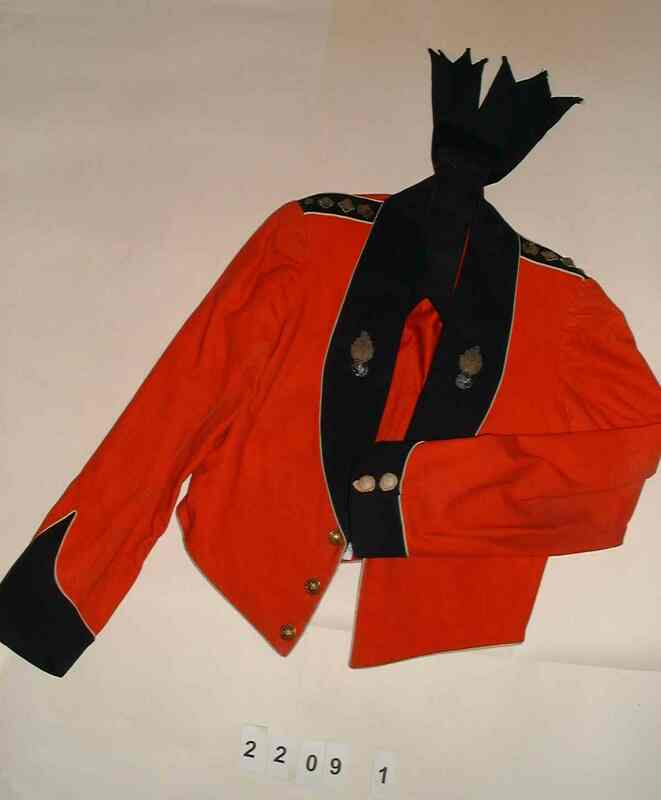 The uniform formerly belonged to Col. the Hon. 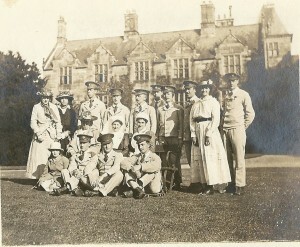 Henry Lloyd Mostyn and 2nd Lieutenant I Lloyd Mostyn. 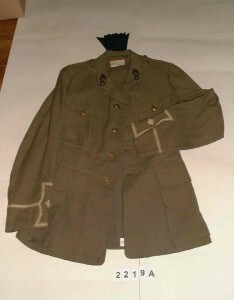 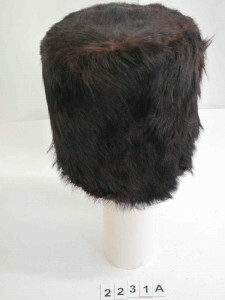 Officer’s Service Dress jacket. 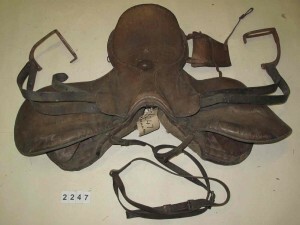 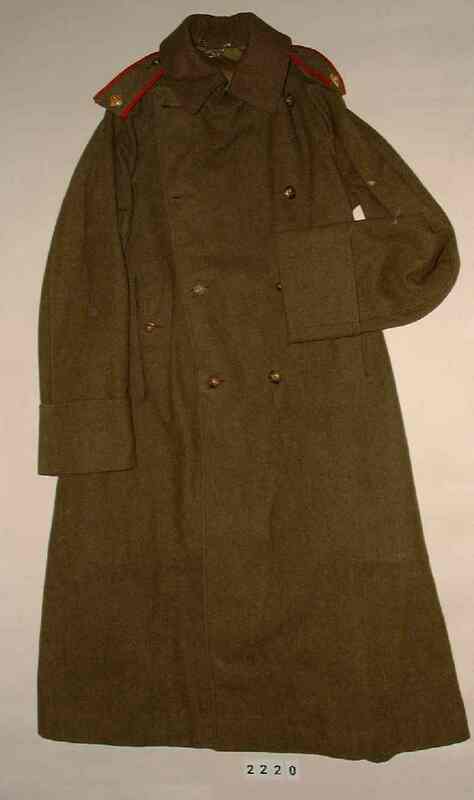 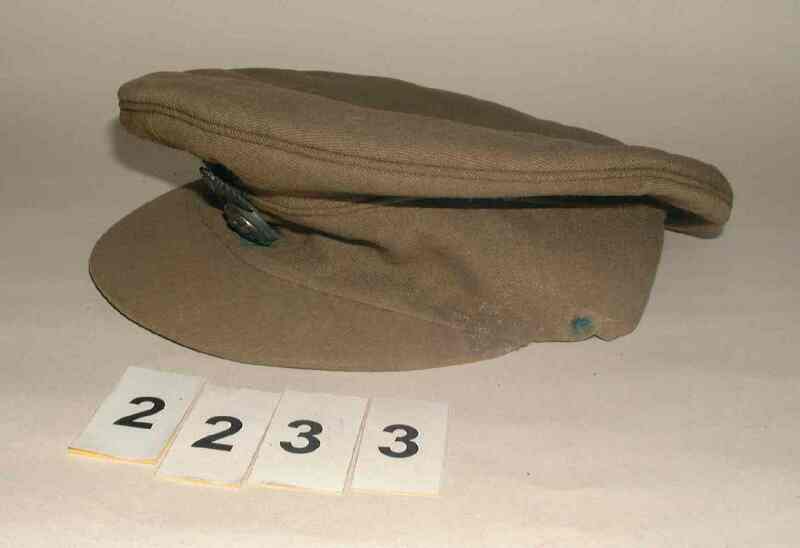 Khaki, with brass buttons and darkened brass collar grenades. 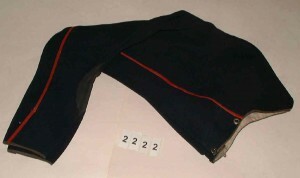 Colonel’s rank insignia on sleeve cuffs. 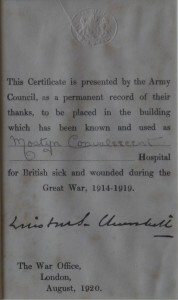 Medal ribbon on left breast. Flash attached. Maker’s label, including name of owner, inside collar “Pulford and Sons, 65 St James Street SW. Lieut. 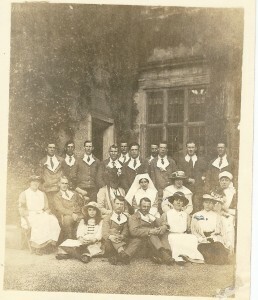 I L Mostyn June 1912”. 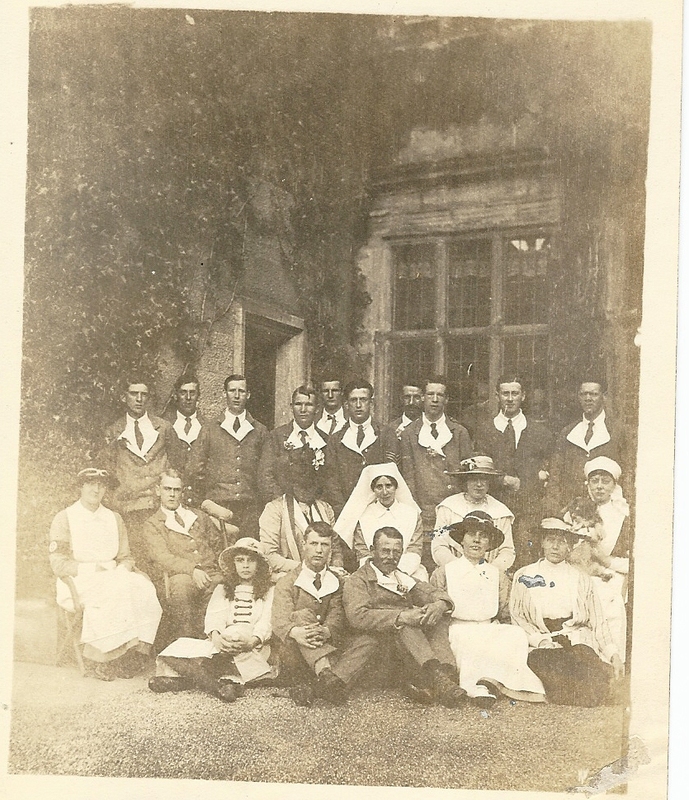 Mostyn Hall, the family home, was used as a convalescent hospital for First World War casualties. It is thought the Billiard Room was used as a ward. 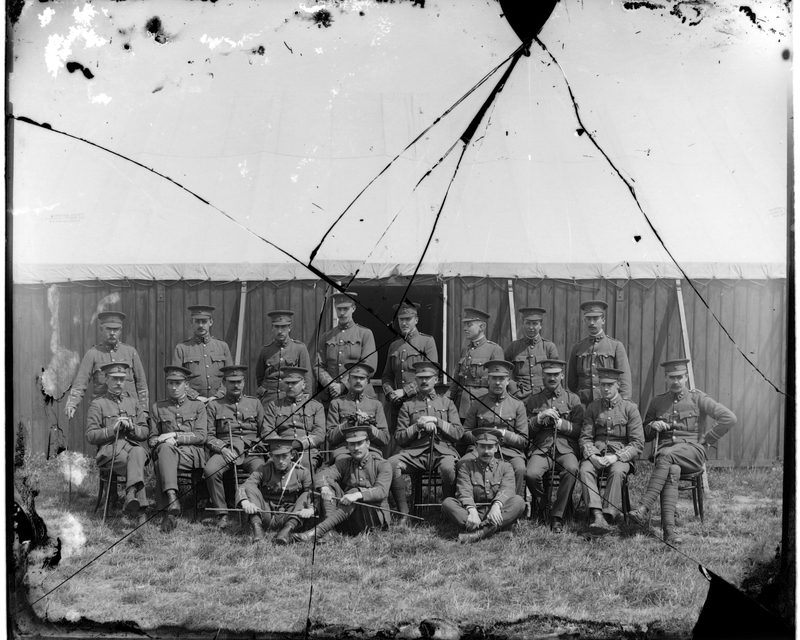 Unidentified photographs, thought to be Royal Welch Fusiliers in Llandudno. 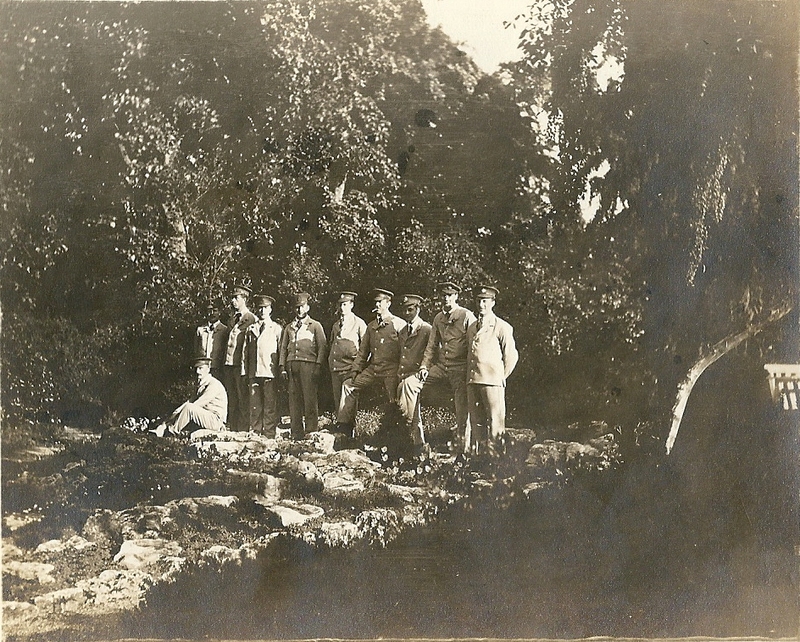 We would be very interested if anyone knows any of the people pictured. Keen historians may also be interested in some more photographs, kindly provided by the Regimental Museum of the Royal Welch Fusiliers, showing some of the First World War period uniforms included in their catalogue. 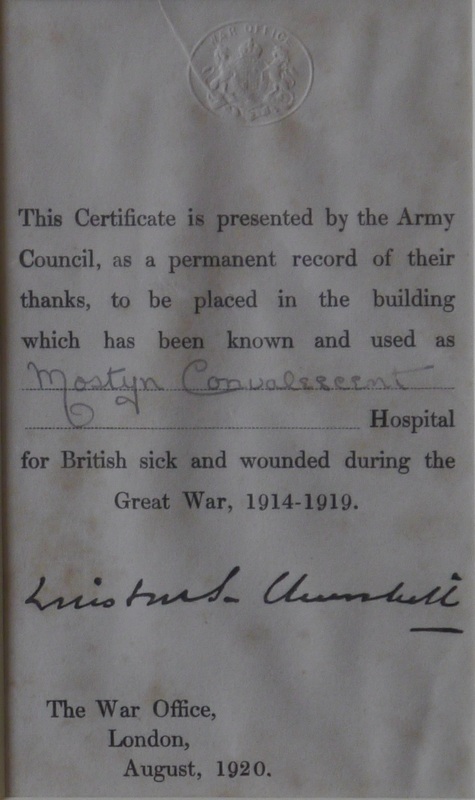 The collection was accessioned into the museum through a bequest of Ieuan Lloyd Mostyn and received as one lot.